Love this photo! One, it shows that a smile is coming back to Bill's face ... I'm seeing the "real Bill" bit by bit. Two, it shows the love surrounding us. Ben is our son David's best friend from high school, and he's in his residency at Riverside. He visited yesterday afternoon and how we enjoyed it. What a great "kid." (Now a dad!) Thank you, Ben! The hospital is the hospital. The coffee's terrible. We'd rather be home. But the acute inpatient rehab unit at Riverside is fantastic. Yesterday the therapists put Bill through his PT and OT paces for a total of 3 hours. When finished, he took a nap! Bill's biggest accomplishment yesterday was walking with a cane. Slowly, but he did it. He's feeding himself pretty well, answering his phone, brushing his teeth. He's happy not to have to comb his hair! Still, nearly everything is an effort. He has a long way to go. I'm thankful that family is welcome on the unit. There's a fridge and microwave so I can bring some food from home. We eat some meals together, and yesterday I rolled Bill downstairs to Riverside's lobby, the "mini airport terminal," as I call it, for a change of scenery. Bill will have progress goals that will help determine when he can come home. It's unknown, but I ask for prayers for increased strength, energy and healing. The pain has diminished, but is still there. Thanks from the bottom of my heart to friends and neighbors who have stepped in to help ease the burden of this journey. I love and thank God for you all. Oh, bother. I didn't want to do this, and blogged for over four years without having to. But some spammers have been leaving weird comments on this blog, so I'm taking charge. Please continue to comment, but it will appear on a post only after I've ok'd it, usually the same day. Sorry about the little inconvenience. There. Take that, spammers. And to you faithful readers and non-spam commenters, hugs and kisses. It's true, I've been away from writing for a bit. It's hard not to write: blogging now feels like my part-time job, one that I love. But with only one thing on my mind lately, I waited for the right time to write. 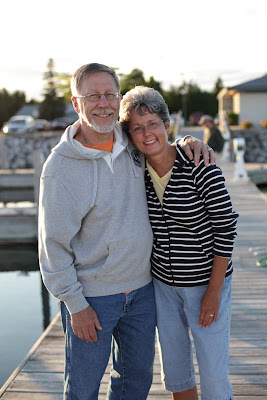 It’s been about six weeks since Bill and I first stepped into an orthopedic surgeon’s office. What a ride. 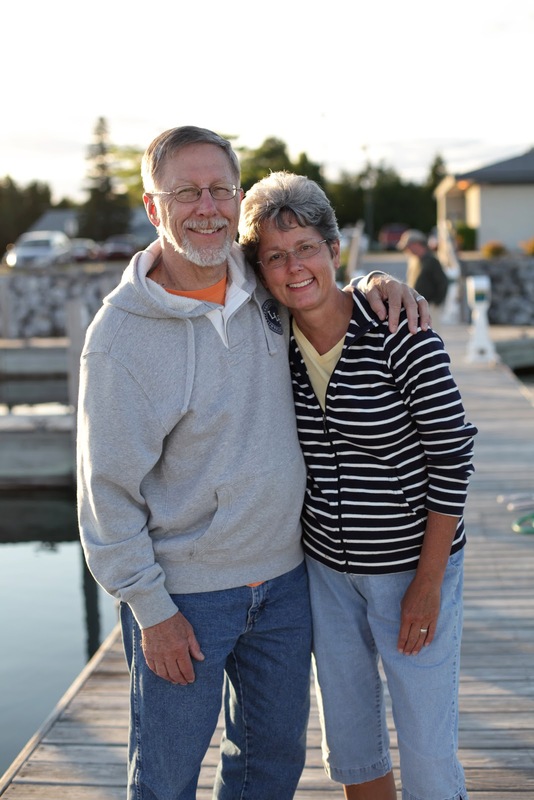 Over the years, Bill’s walking and balance have become increasingly difficult. Walking the dog with me: too tiring. Walking through a mall or a one-mile hike: impossible. His legs just won’t move fluidly. And so we decided to find out what's going on. The x-rays and MRI's revealed some sobering facts. Bill has a lot of arthritis up and down his spine. And while most of his pain is in his lower back, the most serious issue is in his neck, where arthritis is pressing in on his spinal cord. He also has a number of discs that need repair. On Tuesday, April 16, Bill will undergo a two-part surgery to fix these problems. There’s no guarantee that he'll be pain-free or that he’ll regain complete mobility. But according to our surgeon, this condition is degenerative. It will only worsen, and must be addressed soon. We’ve been told to expect three nights in the hospital, up to two weeks in a rehab facility, then home. He’ll have to wear a collar as the fusions heal and grow. No driving during that time. Those are the basic facts of the situation. Bill is logical, methodical. I can’t know completely how he's processing this, but he definitely thinks things through. Being the deeply “feeling” one, I’m definitely experiencing a jumble of emotions. It’s not a routine, simple surgery. Though I'm feeling a peace about it, I'm also nervous. I’m angry at times. That we have to go through this, and that Bill doesn’t seem tuned in to what I’m going through. Then I’m ashamed, too. That I focus on myself rather than Bill, who is the one facing the hard work of recuperation! I’ve felt mentally exhausted. 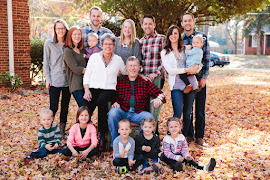 There are the what-ifs, updating friends and family, the pre-surgery details, the post-surgery care, and initially waiting for Bill to decide whether to have the surgery at all. But I am thankful. Thankful that this is our first major health issue in all our married life. Thankful we live in a time and place that affords us accessibility to skilled surgeons and advanced medicine. Seeing the MRI was amazing! Thankful for an incredible group of family, neighbors, friends, and church family who are standing by to help. Thankful that two of our children will be here for the surgery. As we prepare and work out some details leading up to the surgery, I will blog as I can. Thanks for your love, prayers and support. So very thankful for you! Where to begin? Two weeks ago today I quickly made a plan to visit our granddaughters. Two days later I was on a flight to Baltimore and spent one night with Mark, Jill and Lily. The next day, Jill, Lily and I drove to Charlotte. That stay was extended a day or so due to a spring snowstorm that blew across the midwest. I helped Katie pack up her car ... oh it was a squeeze, since she'd been in Charlotte a few months ... and we headed north on Tuesday. So dear, so busy. Toys scattered. Smiles, laughter and tears, too. But worth every exhausting minute. Ari is starting to leave toddlerhood behind and become a little girl. She helps Jenny cook, unload the dishwasher, and is crazy about her fairy collection. It was a precious gift to see my two daughters-in-love, both pregnant, sharing and playing with the three cousins. Lily, 13 months, was at times overwhelmed by all the toddler hubbub. Her smart mama brought Lily's giraffe walker, which kept her busy and content. Lily wasn't too sure about anyone holding her other than Jill, but we managed to snap a couple of photos. Why the quick trip? A big and unexpected reason. Next post!